You’re getting into your groove with your blog. Topics are coming to you easier than they ever have before, thanks to that helpful resource you picked up. You’ve parked perfectionism, and you’re feeling pretty, pretty good about how the words are flowing. 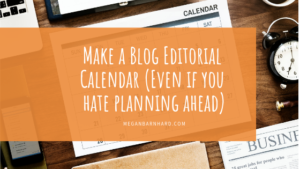 Now that you’ve got a handle on writing and publishing posts, you’re noticing that they look a little lackluster. Even though they’re full of great info that’s helping readers, they’re missing some sparkle. 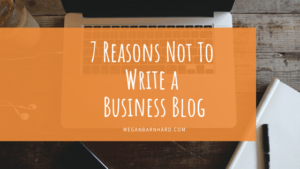 You want to create a consistent, branded look for your blog, but you’re not keen on spending tons of time getting into the nitty-gritty of graphic design. 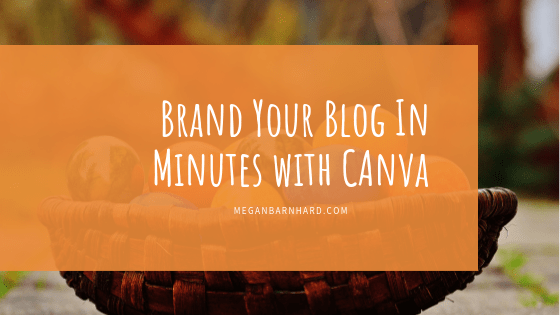 Here’s how to use the free version of Canva to add pizzazz to your posts in just a few minutes. 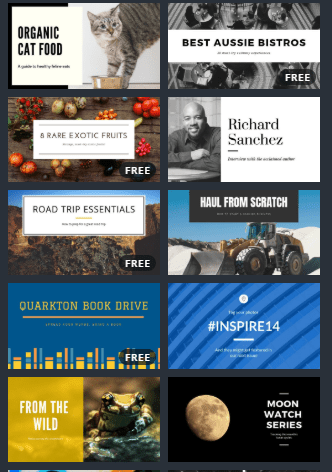 For me, a huge part of the value of Canva is the fact that it has ready-made templates. This means I know I’m getting something that works for a blog because someone who does have design sense created it. Search for “blog” in the search bar. You’ll see it brings up options for a banner and for graphics. 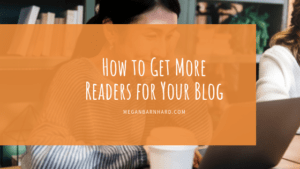 Both of these are handy additions to blog posts, but it’s the banner that will make the difference when you’re trying to brand your blog. Notice it’s already set to the right size. All you have to do is jump in and choose a design you like. If you want to keep things free, make sure to look for the word “FREE” in the lower right-hand corner of a template. Each template comes with fonts already selected. And you can absolutely keep them. But since your goal is to create a consistent brand experience, you want to think about which fonts are already at play in your brand. What font do you use for the main text on your website? What font(s) do you use for headers on your website? Which fonts do you use when you create PDF’s or resources for your business? Which fonts do you love? Which ones give off the kind of feel you want customers to have? If you scratched your head when you read all those questions, guess what? You can actually use the templates in Canva to help you out! Browse through templates, and when you see fonts you like, take note of them and start using them to create your branding across the rest of your website and on your social media pages. A good general rule is to choose three complementary fonts: one for headers, one for main text, and one for an accent. If you’ve got a savvy design eye, you may be able to use more. But too many fonts can make your branding look disjointed and chaotic. As you choose your fonts, consider readability. 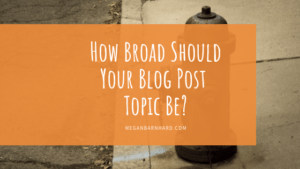 How will your blog banner look on a phone or tablet? Will it be legible? Just as with fonts, you can work forward or backward from your website to your blog banner to choose colors. If you’ve already got a great color scheme for your brand, great. Simply change the colors of a template to match what you’ve got goin’ on. You can type in the hex code of a color (that’s # followed by a combination of six numbers and letters) to get an exact match for your brand colors. If not, use the color combos in the templates to inspire you. Canva has a large selection of stock images that you can license for free. Definitely read the fine print on these, as what you’re getting is a limited license. This means you can’t take a free image, slap it on t-shirts and start selling those t-shirts around town. There are also images you can license from Cnva for $1, which is still waaaaaay cheaper than buying stock images nearly anywhere else. 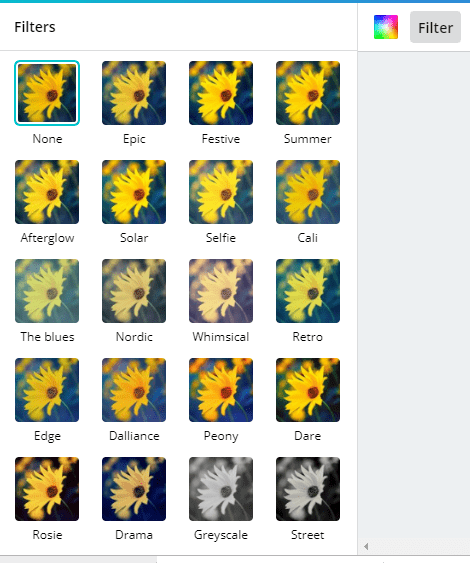 To find photos (or illustrations or other graphics), click on the “Elements” button. You can do a search for key terms, such as “cute black cat.” You can also search “free” so you only see the available images you don’t have to pay for. Once you’ve got an image that works, here’s a simple trick to get the right feel for your brand while also getting consistency: Use a filter! Using a filter will give all your images a similar look, even if they come from different photographers and have different color saturation or lighting. Click the “Filter” button at the top of the screen and select the look you want. You can even go full grayscale so you won’t have to match the colors of the image to your brand colors. You’ll notice the header image for my blog has text over a colored block with the image in the background. I intentionally chose a template where the photo isn’t featured prominently because I go into total analysis paralysis when trying to select an image. I’ve lost literally hours of my blogging time sifting through choices for stock images, trying to decide what subtle nuance is better for a post — the woman at the computer looking to the right or to the left? I’ve found that making the image a background factor lets me make a quick choice without stressing over it. Find what works for you and use it. Just like your writing process, your design process will be personal and unique to you. It doesn’t have to be fine art, and you’re allowed to change your mind — and your blog banner. So get started! And let me know how it’s going in the comments: How do you make design work for you? Any strategies you’re willing to share? 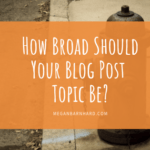 How Broad Should Your Blog Post Topic Be? What great ideas Megan! 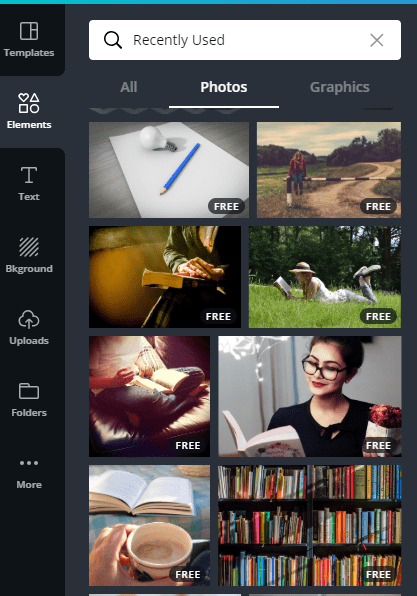 I stumbled upon Canva a few days ago and was amazed at how easy it was to use and create great looking images to go with content! You are just the BEST!! Thank you!! Isn’t Canva the best, Sapphire? So glad you’re finding it to be a helpful tool to complement writing. this is awesome thank you Megan, can’t wait to explore this new modality!